A few months ago I was enticed back to my roots after I stumbled upon the site ‘Stainless Steel Droppings’. My roots being: originally a reader of science fiction and fantasy. Aren’t almost all children’s books fantasy? 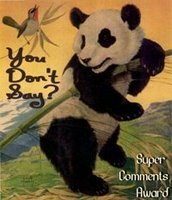 Speaking animals, for heaven’s sake! Speaking of which, one of my absolute favorites was Caroline and her Friends, by Pierre Probst – don’t even think about trying to buy a copy today, they cost a fortune, if you can find one. Sadly, my copy went missing after one of many moves. Caroline (there are never any adults in sight) goes on adventures around the world with a troop of animal friends. Fond, fond memories. Does anyone have a copy of one of the Caroline books they would be willing to part with? After reading Neverwhere, I set Gaiman aside and went on to other things. Then along came the Once Upon a Time Challenge II. 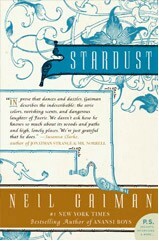 I thought it was time to add Stardust by Neil Gaiman to my list of books planned for the challenge. After finishing the first book on my list, The Sword in the Stone, I read Stardust. This is the story of young Tristran Thorn, who grew up in the village of Wall, which is situated through the hedge, right next to Faerie. The village men rotate so there are always two guards on the gate to keep humans from going in, and…. creatures from coming out. Except, for one weekend a year when there is a fair on the green, just inside Faerie, and the folks from both sides mingle. There is one road from Wall, a winding track rising sharply up from the forest, where it is lined with rocks and small stones. Followed far enough south, out of the forest, the track becomes a real road, paved with asphalt; followed further the road gets larger, is packed at all hours with cars and trucks rushing from city to city. Eventually the road takes you to London, but London is a whole night’s drive from Wall. I picture myself in London, driving the busy highway to a paved road, which leads to a track winding through the forest, going back in time as the track takes me higher, until I arrive in Wall, in another century. Tristam enters Faerie on a quest and is gone some time. You can imagine; strange, frightening, dangerous, and wonderful things happen to him there. It is a delightful tale, very well told. I see that now there is a movie. I guess if Hollywood can make a believable Lord of the Rings, they should be able to make a decent Stardust. Check out Neil Gaiman’s website, too. He seems a very decent chap, and his website has lots of interesting nooks and crannies to investigate. I read Stardust for last year’s Once Upon a Time Challenge and loved it. That was my first introduction to Neil Gaiman, and now I’m a complete fan. Nice review! What a fantastic post! I love reading about how folks grew up with reading, their reading habits, etc. I’m so glad that my site helped stir up the embers for you to revisit these wonderful genres. I discovered the John Carter of Mars series a couple of years ago and I’ve loved all that I have read so far. I went from that to trying Conan and was blown away by that as well. They were so not what I had expected. I highly recommend them. 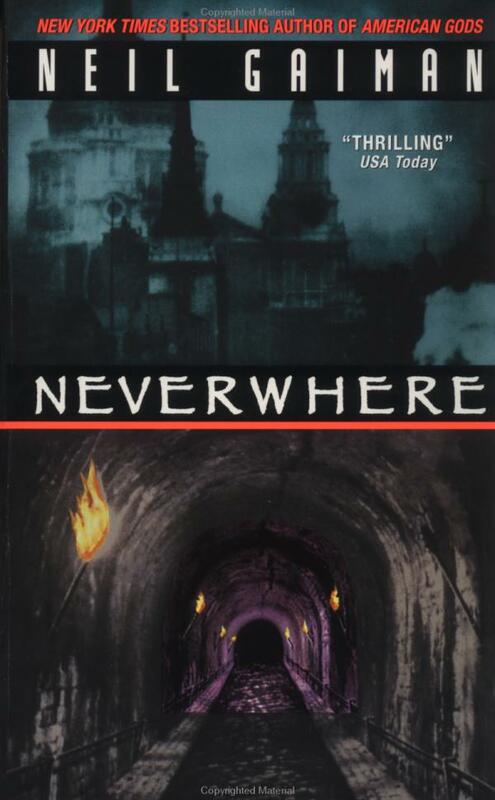 I’m glad you are a fan of Gaiman and I love that you read Neverwhere first. That was the first novel of his that I ever read and consequently is my favorite. Wonderful post!!! Thank you kindly Carl, for your words here and your humongous effort on your site. I have not read Conan, but I will definitely head in that direction at the library this weekend. Loved your reading history. It made me go over the patterns of reading I have followed over the years. 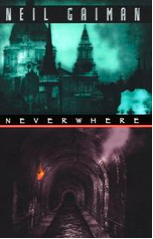 I thoroughly enjoyed both Neverwhere and Stardust. (Stardust a little more) Gaiman is so creative and uses words beautifully. Thanks, Framed. My preference is the darker, Neverwhere. I guess I prefer urban, too. 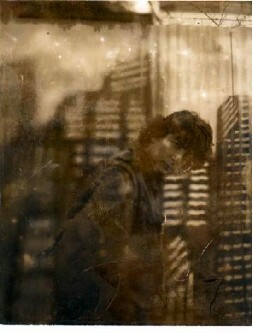 I watched the movie Mirror Mask by Gaiman and Alan Campbell last weekend. It was weird – definitely a dream. Fantastic to look at, the story left a lot to be desired, for me. I still haven’t seen the movie Stardust, but it is on the list. For me the movie met all of my expectations going in. What Gaiman and McKean created was magical. But again, I think criticism of the film is valid, it just isn’t my experience with it.